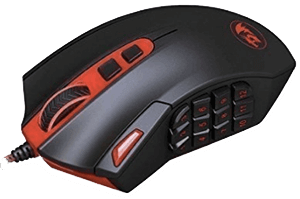 The first thing that took me off about Redragon M901 Perdition was the price tag that makes it one of the most feasible gaming mice in the MMO gaming arena, I could see its potential, being armed with 18 programmable button keys, I had the option to fit all the hotkeys right in my palm, giving me the advantage that most other MMO gaming mice offer at a very bulky rate. Stepping into the mandatory technicalities amateur game enthusiasts look into, the mouse came with a compact and sturdy body that certainly looks like it was built to withstand the prolonged hours of gaming session the mouse is very much likely to find itself in. The DPI range on the mouse is absolutely mind numbing, from 2500 DPI as its staple for non-gaming needs to a hammering 16400 DPI for the professionals who require the most out of their budget hardware, though personally, I find myself using a mouse at 400 dpi for improved control, least to say, the mouse turns into a complete beast when the end game of an average DOTA 2 starts in, giving me the highest amount of control and precision. Taking the optical technology implemented into the Redragon hardware, the laser is highly responsive on most to fairly worse surfaces, the technology of the mouse surpasses its fairly primitive competitors, when being operated on a surface littered with large particles, the cross-reference software embedded in the mouse allows it to recognize whether the hindrance encountered is either an obstruction to be overlooked, thus handing me over a complete control over the game. In the competitive arena, once again the Redragon M901 Perdition holds onto its back, by offering a very versatile range of hotkey assistance buttons, I had no difficulty choosing different starting items in my DOTA 2 game, also, after mapping some keys on the mouse for active items, I could really enjoy the responsiveness Redragon has to offer, where most mice suffer from the restrictions of few click-able buttons, the Redragon is armed with a complete number pad, ranging from 1 to 12. The geometrical engineering of the mouse with its sporty contours, is easy to get used to, and over time one grows used to the positioning of the buttons on the mouse, and from there it is a simple task to press the right keys during game play. I found myself enjoying my DOTA matches more than I usually did, with the new advantage of having most of my active items on my palm, I had to use my keyboard far less than I usually would, to test the responsiveness of the mouse , I got into a CS:GO bomb scenario match, it was light, and swift on my mouse pad, and did not feel hefty, I did not need to pour in massive amounts of efforts while playing, and Redragon M901 did what it was good at light to move, easy higher rate of precision and an amazing hold. The Redragon has not skipped the beauty salon, the aesthetics of the mouse are spot on, for such an efficient performer in the technical zone. The mouse pridefully boasts the company’s logo, which emanates a glow when plugged in, accompanied by a very futuristic- styled outer shell in red and black color, the mouse fits right into my hand and remained glued in, the mouse handled pretty well even when it was being repeatedly being clicked. In the adequate darkness, the mouse’s buttons would glow with an ambient light, making the gaming experience, a matter of appealing affair. 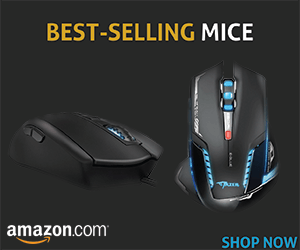 The mouse goes brilliantly well along with a keyboard of similar color schemes, and it is far easy to see how it would enhance the average usability of any gaming rig. The mouse is a plug-and-play device, nullifying the time spent on installing any mouse related drivers which usually accommodate a mouse with Redragon’s capabilities. 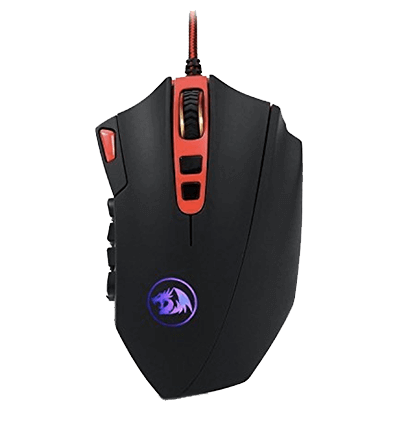 The Redragon M901 Perdition offers a lot for a price range to a small, it is not only built to last with its sturdy, heavy duty, rubberized body, but to also provide a high-performance, efficient and precise control over the game, making the gaming experience, much more enjoyable, and smooth for the gamers of all genres.